The legendary Ford Mustang turns 50 this year – a milestone that’s being celebrated in style at this summer’s award-winning Silverstone Classic (25-27 July). Historic racing’s biggest and busiest event has been chosen by the Mustang Owners Club for its official golden anniversary homage to the most celebrated of all American muscle cars and a host of dazzling displays, pulsating parades and dramatic demonstrations are planned. The fantastic festivities, though, are topped by a pair of very special showdowns staged on the full Silverstone Grand Prix circuit which will be two of the major highlights on the busy weekend’s action-packed racing schedule. These will feature a record number of competition-prepared Mustangs with cars coming from all round the globe to join the celebrations. 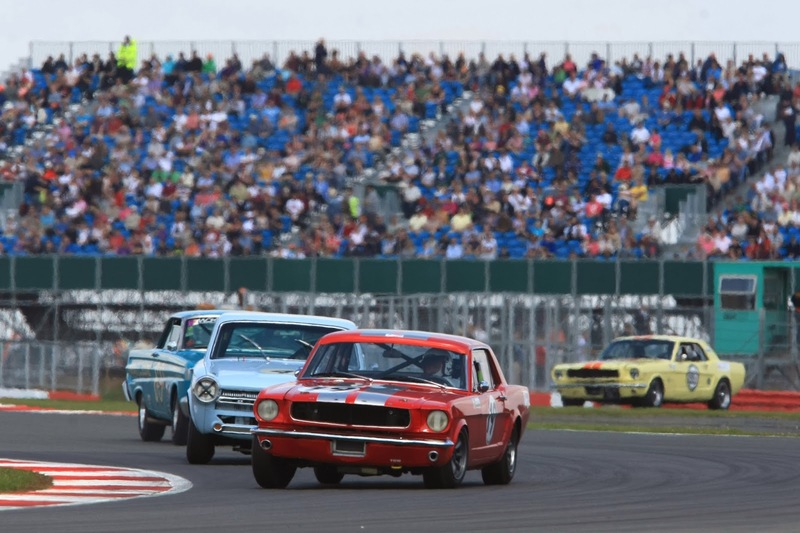 To ensure a massive turn-out, grids will include Mustangs conforming to the FIA’s Appendix K technical regulations – as regularly raced throughout Europe in the popular Pre-1966 Touring Cars series run by Masters Historic Racing – as well as a one-off ‘invitation class’ for slightly more modified machines. 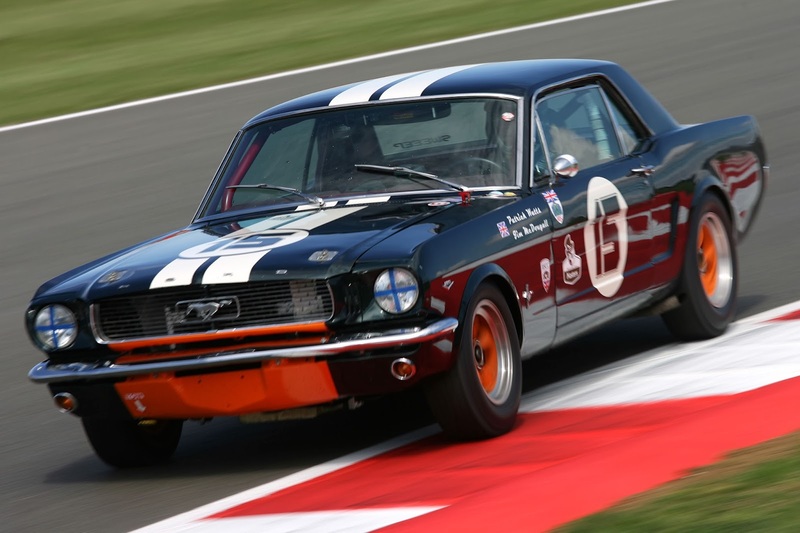 While the mighty multitude of merry Mustangs will top the bill, the massive fields packed with more than 50 starters will also include other notable ‘Yank Tanks’ from the same golden era of saloon car racing such as Ford Falcons and Ford Galaxies. While Silverstone’s long straights will suit the phalanxes of thundering V8 American muscle cars, the transatlantic invaders will be given a tough time by crowd-pleasing Lotus Cortinas, BMW TiSas and three-wheeling Mini Coopers on the circuit’s newer, twistier sections. With such an impressive guest list, this is one birthday party no one will want to miss. Indeed, tickets for this summer’s edition of the World’s Biggest Classic Motor Racing Festival are already selling fast with fans taking advantage of considerable ‘early-bird’ savings. Full details can be found on the official www.silverstoneclassic.com website.